Do you know 90% new blogger create blogs to earn money through blogging, but least of them continue a there career as blogger after 6 months.After few times mostly new blogger quit their blogging career. Today we’re sharing a different method of make money by Shortening Links.Here we create a list of best URL shortener website through which you can earn money by just following few steps. URL shortening is a process of changing URL of target link and to the visitors to the other link where visitors see the advertisement page and they click on it and you earn money.There are three steps of earning money. Visitor redirect to the page of advertisement before open the page for which visitor is looking. For example: Visitor click on the page “B”, but before opening page “B” visitor will be redirect to other page and after few seconds visitor automatically redirect to page “B”. 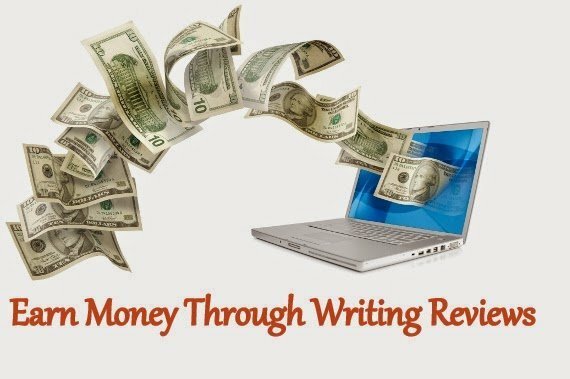 In the second step visitor will see the advertisments and click on them, it makes money for your and help to increase your blog earning by 100%. Now visitor will be redirected to the page which they want to visit before click on the advertisment page. Making money from URL shortener is only possible when you find the best website of shortening URL to monetize your blog.This list has 5 best URL shortener websites which can help you earn huge amount of money. Shorte.st is a very popular shortener website which allow you to make money by shortening URL.Shorte.st is better than anyone, if your blog receiving huge amount of traffic than you should give a try to this website.It simply short your URL and help to make money when visitors see advertisements. Publishers or blog owners can earn huge amount with its high CPM ads.Shorte.st will pay you 5-12$ per 1000 views for promoting their Shorten Link. Your earning amount (payment) will be send automatically on the 10th day of each month. Linkshrink.net is also a popular URL shortening website similar to the Shorte.st. Linkshrink is the fastest and simplest way to earn income online, specifically designed to start earning money within minutes.Link Shrink allows users to earn huge amount of money from advertisements. It works same as shorte.st and it has different payment rate according to the location of the visitors come from.With it’s referal programm bloggers can earn more amount by inviting your friends and readers. Link: Register for Shrink account. 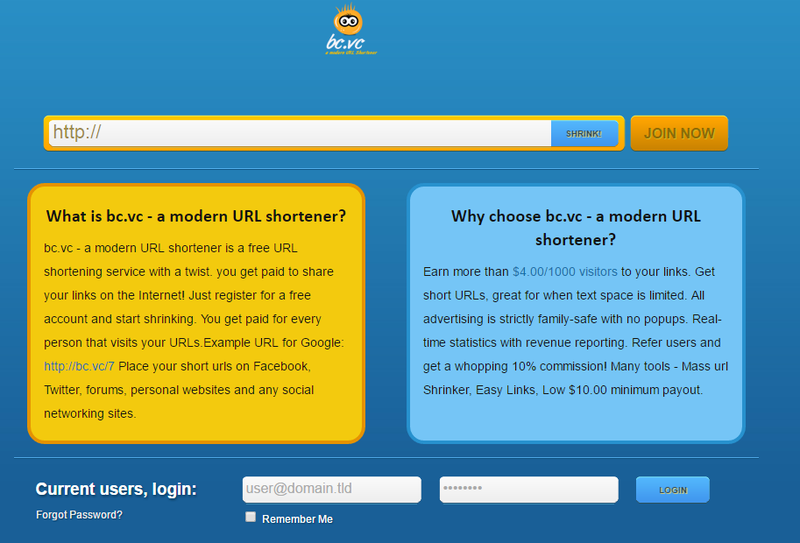 bc.vc is a modern URL shortener is a free URL shortening service with a twist. 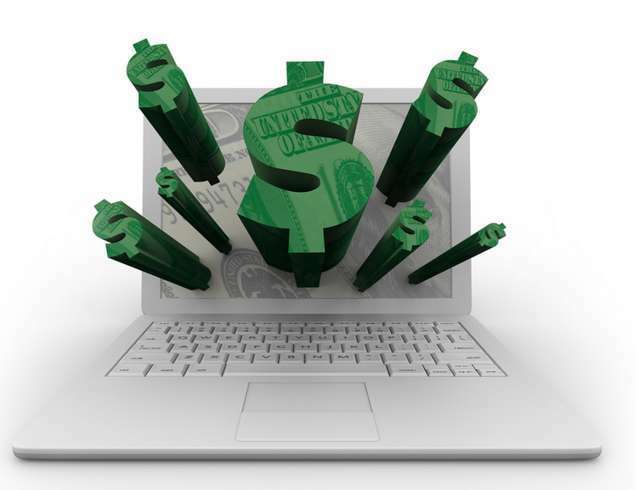 you get paid to share your links on the Internet! 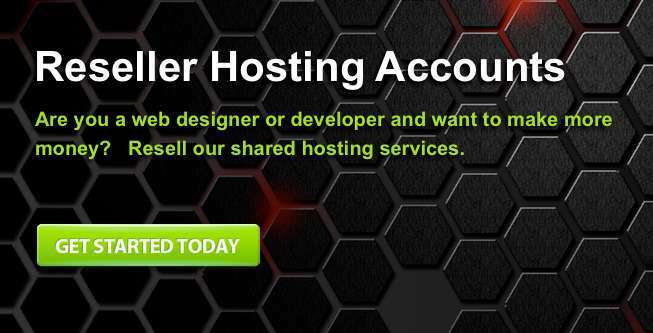 Just register for a free account and start shrinking. You get paid for every person that visits your URLs. With Bc.vc you can earn upto $4 per 1000 visitors when they visit to the advertisement page.The best feature of this website is, it is safe for family which means advertisement doesn’t contain any adult material so any kind of visitors can use your website without getting frustrate. Link: Register for Bc.vc account. 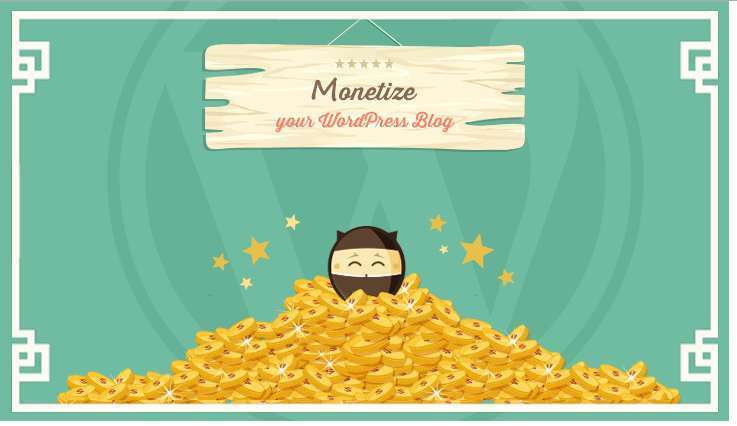 As we told in the beginning of this article is that it is possible to make money By shortening links and anyone can use this method to monetize websites and blogs.It is a legitimate method of earning money and Google bot will not affect site rank.